HMS VOLAGE returned to Trincomalee and deployed with Flotilla for local duties. Later took passage to UK with Flotilla and nominated for service in 3rd Destroyer Flotilla, Mediterranean Fleet in Malta. Prepared for service at Portsmouth before passage to Malta. On the 22nd October 1946 she sustained major damage after striking a mine in the Corfu Channel. The ship was repaired in Malta but returned to UK in 1949 and went into Reserve. 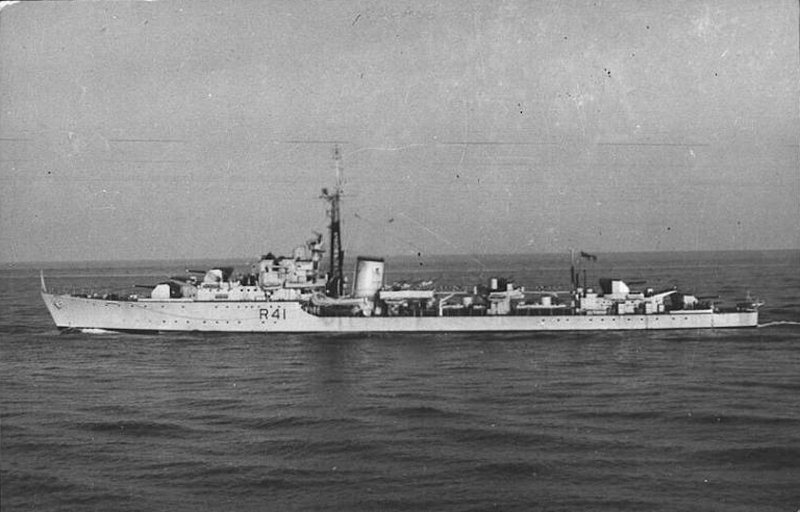 After conversion for use as an Anti-Submarine Frigate by her builders she rejoined the Fleet in 1954 and served in the Dartmouth Training Squadron for two years. 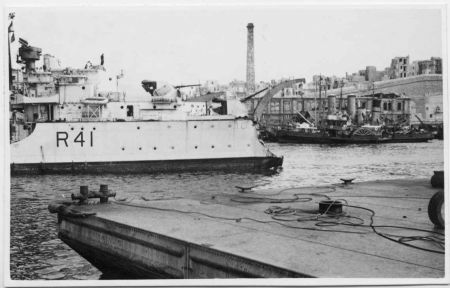 During 1956 she again went into Reserve and was laid-up at Portsmouth. The ship never re-commissioned. whilst at Portsmouth in 1964 ship was used for harbour training of Royal Marines. Placed on the Disposal List she was sold to BISCO in on 28th October 1972 and towed to the breakers’ yard for breaking-up by Pounds at Portchester later that year.